I am hoping someone can help me out. 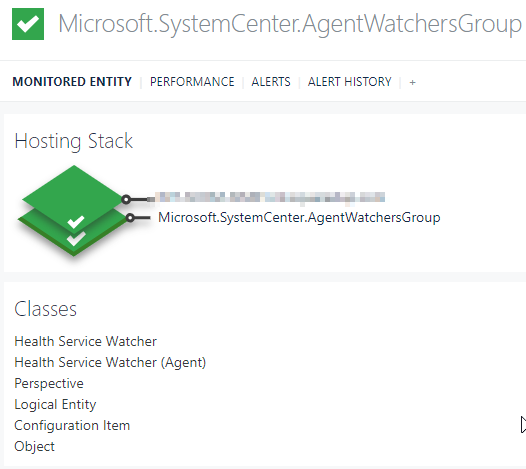 I have a group in scom which contains the Health Watcher Nodes for a number of servers. This helps of track the basic uptime of servers in our environment. I am looking to create a dashboard that show uses the SLO tile but shows a combined system time %. When I create the SLO based on the group in SCOM it shows all the servers listed in that group. When you click into one of the objects that appear in your existing scope, what classes are shown? If it shows Health Service Watcher, then this is correct. Whereas if it shows Windows Computer, then your group is not populated with the correct objects. 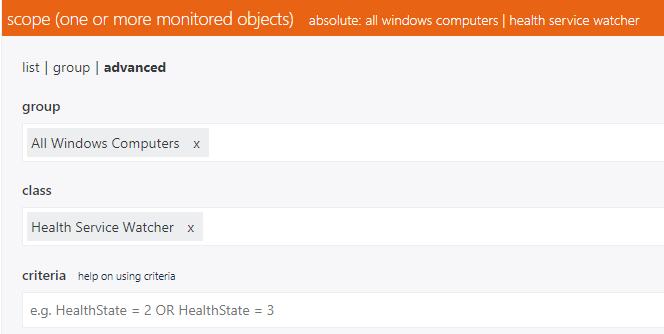 Does your group contain objects of multiple classes (Windows Server + Health Service Watcher)? If so, when you specify the group in the scope it should show all of the objects in the group. You can select a group with a mix of objects then specify a class to refine the scope further. If the group specified contains objects of multiple classes, then using this scope will only show objects of the Health Service Watcher class.